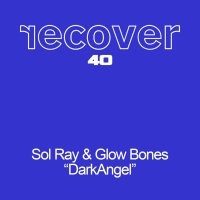 For our 40th release on Recover, we bring you a mixture of established and new Recover producers all flexing their production muscles on a dark and twisted little number that will have you either reaching for the light of climbing under the duvet â€“ oh yes â€“ this is scary stuff! Sol Ray and Glowbones set their stall out with the original and the title says it all really. This is a hard dance/ techno crossover and wherever you have one of those you wonâ€™t find Mr Randall far away and his remix delivers that Classic Randall sound that we know and love. Recover have never been shy of introducing new blood and Crazyteck is a man we have had our eye on for ages. We decided to test him on a remix and as expected he has delivered a fierce re work that hits you in the face like a giant big thing hitting you in the face! This is a very well produced and distinctive sound that we think you will love. 'Dark Angel' is available now from Beatport and iTunes.